Cost/Benefit Analysis: Is Home Staging Worth The Money? •	The U.S. Housing and Urban Development reported a staged home sells for up to 17 percent more compared with a non-staged home. •	According to the National Association of Realtors (NAR), the average staging investment is between 1 and 3% of the home’s asking price, which generates a return of 8 to 10%. •	A 2009 Home Gain Survey of over 2,000 realtors showed that home staging typically provides a 586% return on investment. •	Professionally staged homes sell in an average of 35 days (compared to 175 days for non-staged homes), according to StagedHomes.com. Think of it this way: Your home is on the market, and your asking price is $500,000. Most homeowners reduce their price by ten percent after three months on the market—a $50,000 decrease in this example. However, if you invest one percent of your asking price, or $5,000, on a staging investment, and your home sells in the first three months, you save yourself $45,000. 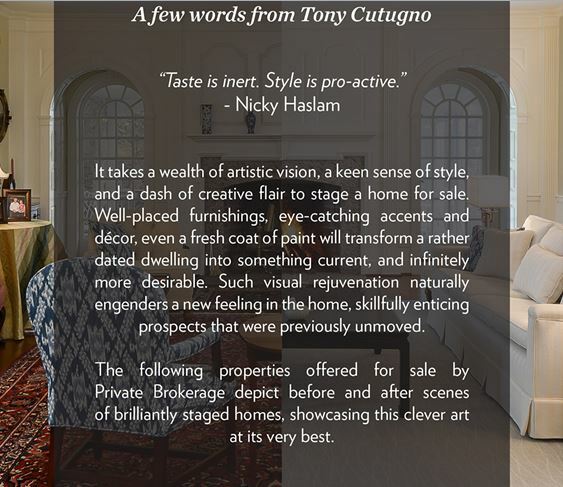 95% of our staged homes sell in 32 days or less. Sounds like an easy decision to me!